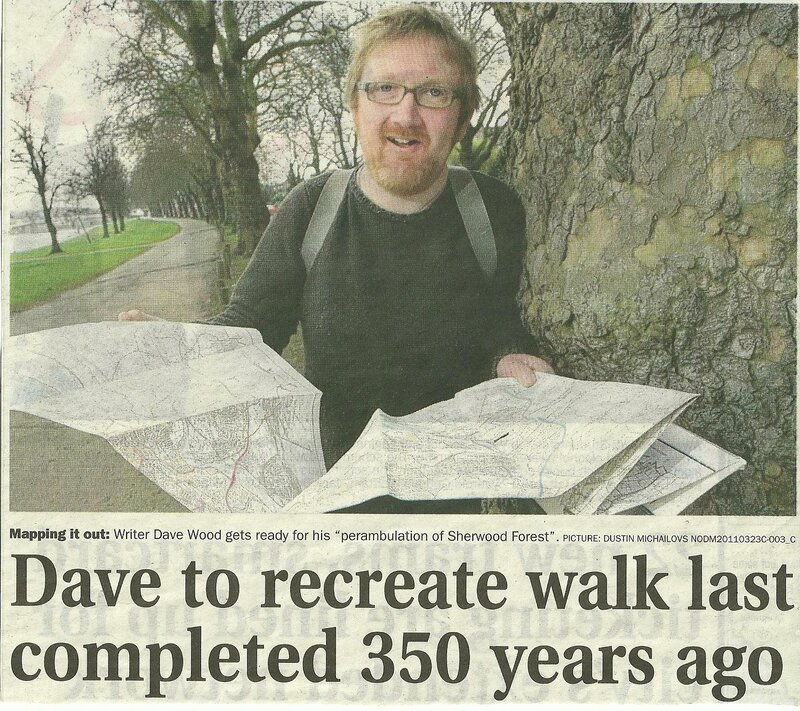 In The Nottingham Post on Wednesday, there was an article describing how writer Dave Wood was planning to recreate a walk of Sherwood Forest last completed nearly 350 years ago. How cool is that? 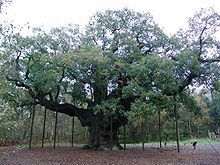 The last walk in 1662 was called the "Perambulation of Sherwood Forest" and was carried out by a team of explorers intent on mapping the landscape around them. Dave intends to replicate the original journey, noting how the landscape has changed over the centuries and the threats posed to the remaining ancient woodland. He says, "The plan is much more than just setting down the boundaries and making copious notes; it's about alerting people to their own creativity, their environment and having fun with their imagination". This sounds like an interesting, exciting and challenging walk, and anybody can play their part and be involved with Dave. Sherwood Forest still carries an evocative sound, as does the name Robin Hood, and the two are inseparably linked. (By the way, please indulge me by never referring to the legend of Robin Hood, but always to the story of Robin Hood. This is possibly a bit pathetic, but as I say, indulge my whim, after all there are worse things in this world to believe in than an ancient outlaw). 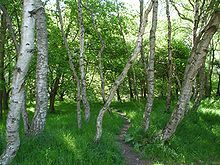 Sherwood Forest is a Royal Forest with a long and glorious past. Historians tell us that it has been continually forested since the end of the Ice Age. During the 13th Century it was said to cover around 100,000 acres, or 156 square miles. This represented one fifth of the whole county of Nottinghamshire. Roughly the Forest was 20 miles long and 10 miles wide. Today, Sherwood Forest is a lot smaller. It covers about 1,045 acres, or 1.63 square miles. 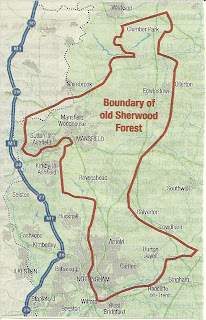 Friends of Sherwood Forest often get annoyed when people speak of Sherwood Forest and the Country Park as if they are one and the same thing. The Mansfield Chad Newspaper says that even the Government makes this mistake. 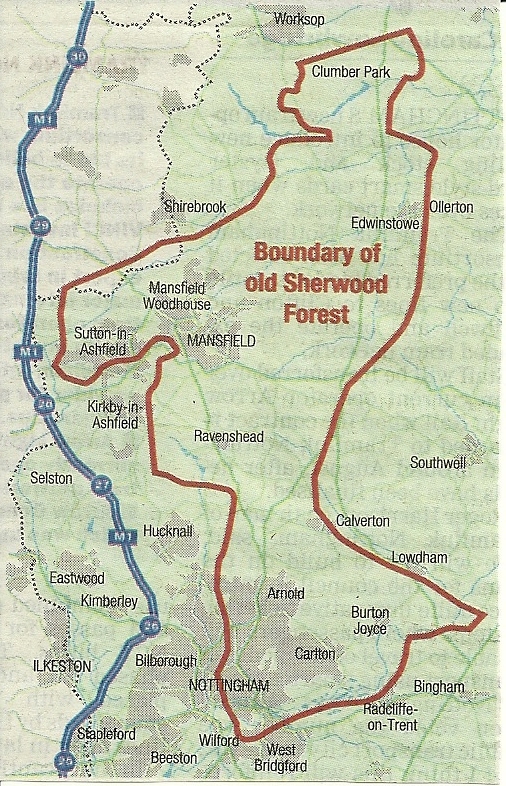 Of the 1,045 acres taken up by Sherwood Forest, only 440 acres make up the Country Park. 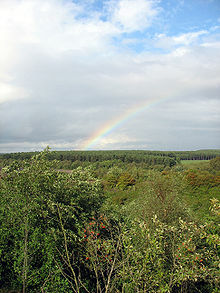 This Park is managed by Nottinghamshire County Council, and the rest of the Forest is managed by the Forestry Commission. There is a fear that the Government will force the Forestry Commission to sell off much of the Forest that it manages to private companies, with the inevitable loss of access and amenities. It's true isn't it that we often don't appreciate what we have until it's gone. Sherwood Forest is a beautiful, magical place, and I really hope that the wish of Dave Wood will come true. "Most of the forest has disappeared, so hopefully my walk will highlight the danger of losing the rest of it". I echo that; let the beauty, history, leisure and environmental projects stay with us for ever. The perambulation of Sherwood Forest is going to be some experience.